Rookie Andrei Svechnikov scored his third goal in three games as the Carolina Hurricanes recorded their ninth straight win over the Buffalo Sabres, a 4-2 victory Saturday in Raleigh, N.C.
Jordan Staal scored to notch his 500th career point, and captain Justin Williams and Lucas Wallmark also tallied for the Hurricanes, who improved to 8-2-1 in their last 11 contests. Curtis McElhinney finished with 35 saves to rebound after an 8-1 shellacking by Winnipeg on March 8. 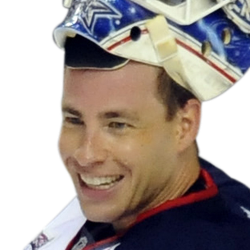 The 35-year-old McElhinney turned aside 30 shots in a 4-3 victory versus the Sabres on Jan. 11 and made 34 saves in a 6-5 overtime win against Buffalo on Feb. 7. Former Hurricanes forward Jeff Skinner matched his career high with his 37th goal, and Zemgus Girgensons also tallied for the Sabres, who have dropped seven in a row (0-6-1). 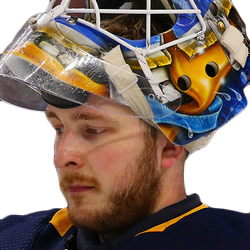 Buffalo entered the contest having been shut out in a franchise high-tying three straight games before Skinner ended the team's scoring drought at 199 minutes, 58 seconds. He banked a shot off McElhinney and into the net at 2:18 of the first period. Skinner's fourth tally against the team with which he spent his first eight NHL seasons snapped a 13-game drought and matched his career high set in 2016-17 with Carolina. The Hurricanes answered 11 1/2 minutes later as Brett Pesce's cross-ice feed found Jordan Martinook, who unleashed a wrist shot that squirted past Linus Ullmark (25 saves). Wallmark alertly extended his body to knock the loose puck into the net to forge a tie at 1. Carolina captured a 2-1 lead at 1:07 of the second period after Teuvo Teravainen wired a diagonal pass from the right circle that sailed between the legs of Buffalo captain Jack Eichel to an unmarked Svechnikov, who scored from the left doorstep. Williams' sharp-angle shot from near the left-wing boards squeezed inside the post to double the advantage with 2:51 remaining in the second period. Staal's spinning backhander in the slot gave the Hurricanes a 4-1 lead with 4:14 remaining in the third period before Girgensons' goal with 1:01 left capped the scoring.